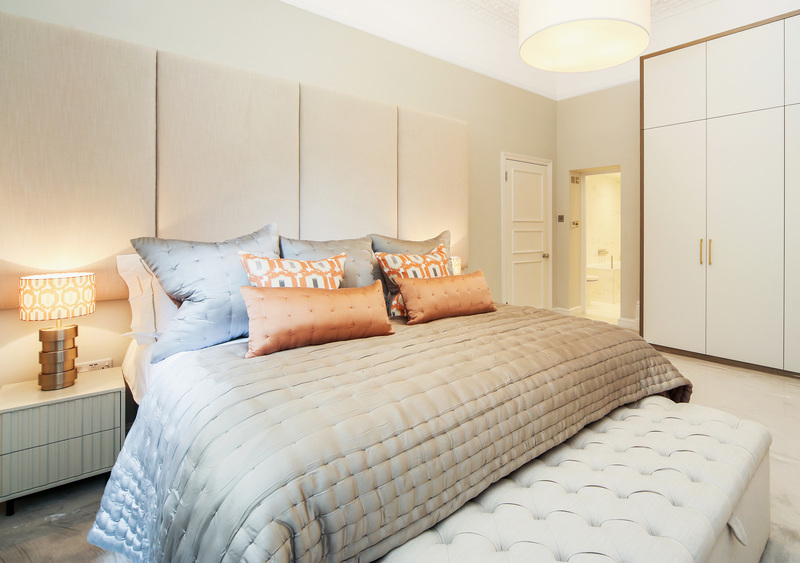 Our beautiful upholstered double-beds are a cut above the rest. Each one designed and built by hand in our workshop, we offer a wide range of fabric options, including faux-leather, suede, linen and velvet. Each 4foot 6’’ upholstered bed is suitable for use with U.K. standard double mattresses (1350mmx1900mm). As well as a wide range of fabric options, we have many available colours, including Ice blue and Viola purple. Additionally, if you decide on your dream bed below, you can choose to enhance it with a matching upholstered headboard. With 200+ fabrics to choose from, there’s a perfect choice for everyone. If you need some help deciding on a fabric or colour, why don’t you request a few free samples? All of our 4 ft 6’’ double upholstered beds can even be adjusted in size and design if you require. We can amend literally any aspect of your bed, from height to thickness. 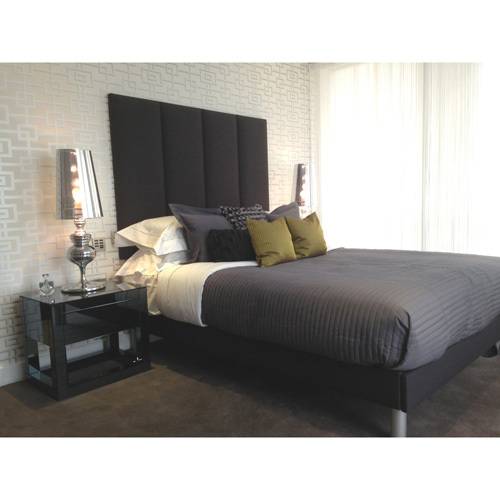 We can also customise your matching headboard, with options such as coloured buttons and custom panels.